Do you lack information about how to choose a right mountain bike size? Well, as like other beginners, I had those problems too. Now, with a ton of experience and a knowledge gathered for years of mountain biking, I might be able to write this mountain bike sizing guide. In this mountain bike sizing guide, you will get proper information about selecting suitable size of a mountain bike, as well as some basic misconceptions that most of the people and even some experienced bikers have. Those are mainly some mistakes made in a rush and with the lack of proper information. I will explain what you shouldn't do, and the things that you should do while buying a mountain bike. Firstly, let’s start with some of the basic mistakes or misconceptions. First of all, I highly recommend trying a bike before buying or making a purchase decision. Every bike feels and fits a bit different, so the testing before buying might be crucial. Of course, there are possibilities to adjust certain parts, such as saddle height and position, but there are some non-adjustable parts that simply might not meet your requirements. For online purchase, you can buy the same bike after doing test ride at the local bike shop. It will save your money and secure your purchase from receiving a average bike that doesn't fit you perfectly. Most of the people choose their bikes by the look, rather than by its function. It’s like judging a book by its cover. Make sure that you find a model that fits you functionally in the first place, and then by its look. It will help you to get a decent looking and proper functional MTB at the same time. A good entry-level bike may run from $700 to $1,200. If you have very tight budget, you should a select a cheap entry level mountain bike that has some quality parts so that you can upgrade the other cheap parts later. Sometimes it’s better to invest a bit more and get a top-notch bike rather than cheating yourself by having a cheap one. So, the more you can afford is better. The first rule of buying is not to rush while making the purchase. Keep in mind that you will spend a lot of time on the bike. Make sure that you spend enough time on that bike that you like, and that perfectly fits your needs. Believing that you will get used to and adjust to a any bike might lead to this crucial mistake of buying one that won’t fit your physics. You need to search until you find the one that fits you from the start, without doing any major adjustment. Are you a beginner? Here is our mountain bike buyer's guide for learning some basic tricks and will guide you to purchase a mountain easily. Most of the manufacturers have their listed frame sizes. However, due to the different styles of measuring, they might seem confusing. 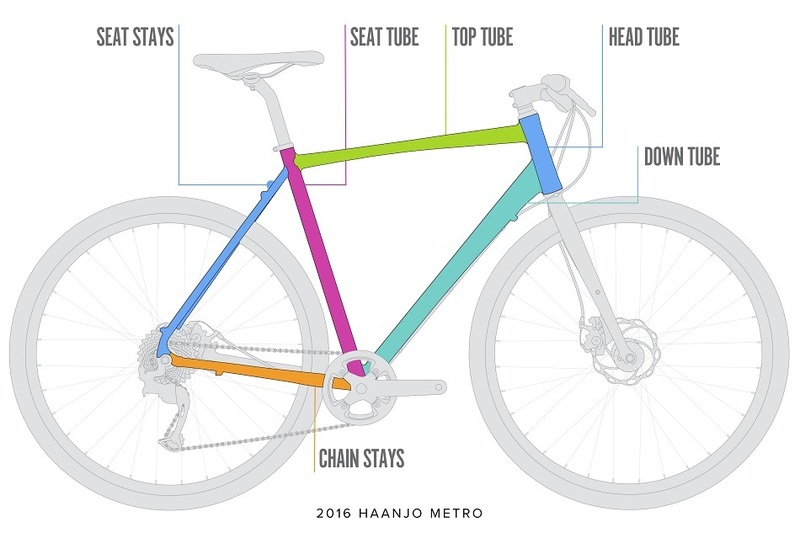 Some of the manufacturers measure the frame including seat tube length. Anyway, even that varies - some are being measured to the middle of the seat, while others are measuring to the top of the seat. However, you will be able to find some orientating sizes, such as S(small), M(medium), and L(large). Other than that, there are XL(extra large) and XS(extra small), but those are much less frequent. Anyway, there are two measurements that you should consider about mountain bike frame size- the length of the top tube and the length of the seat tube. Here is mountain bike frame size chart. In this frame size, mountain bike frame sizes are well organized based on common frame size such as extra small (XS), small (S), medium (M), large (L), and extra large (XL) etc. with frame size in inches and centimeters. Anyhow, you need to take this one seriously. If not, you might face some problems such as sore back, poor control of the bike, and wince-inducing experiences. This will come out of a bigger bike frame problem. If you are dealing with a smaller frame, you might face some injuries from cramped body position, back problems with longer rides due to too much standover clearance etc. All in all, choose the frame carefully. First of all, you need to search for a bike that fits your standover height. 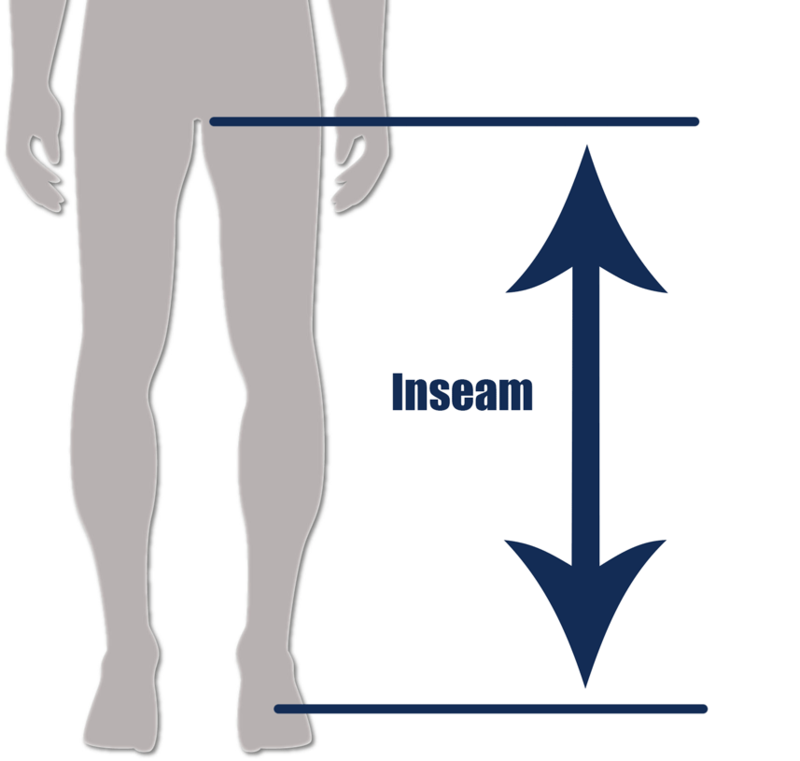 In other words, the difference between standover height and your inseam should be in your inseam advantage. Therefore, if your inseam is around 30”, you should search for the bike that offers 29” of standover height. Pro tip: when you lift your bike while in standover position, there should be the distance between the tires and the ground of about 2”. As you can see, there is a difference between a road bike and a mountain bike of 1”. Keep this in mind. Now, in order to measure your inseam, grab a notebook or hardcover book. You will need a pencil and a measuring tape. Stand against the wall, straddle that book, and spine up just as when you are sitting in a saddle. Furthermore, mark with the pencil a point where the spine of the book meets the wall. What you need to do now is a measure that distance from the mark all the way down to the floor. That is your inseam. Do this few more times just to make sure that you did it correctly. With this height, you will be able to navigate through online brochures that (probably) consist sizing charts. The seat tube should provide an acceptable standover gap and standover clearance. It might seem irrelevant but top tube length is something that should come as a priority. 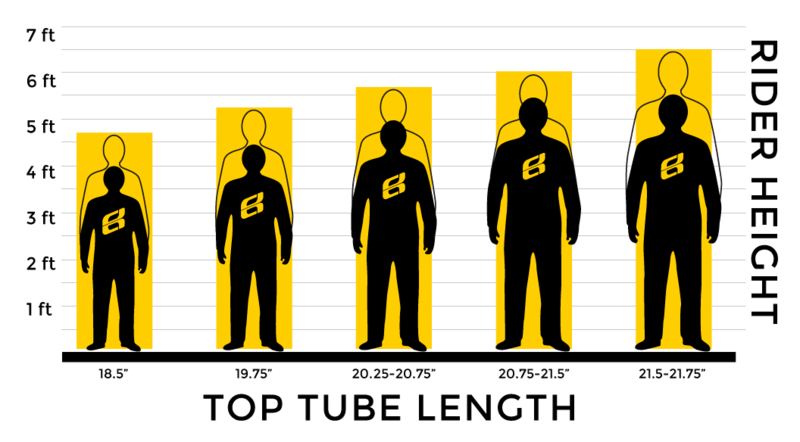 The length of a top tube directly reflects on your spine position and overall comfort. With stem length, seat position, and handlebar position, the length of a top tube will dictate the efficiency and comfort of your body while riding. Now, if you want to avoid potential damages to your spine, better take this one seriously. At first, it might seem comfortable, but with longer rides, it will be painful. You might want to match that long, low, aerodynamic pro positions of your body, but keep in mind that the pros are well prepared, flexible, and endurable. It is better to set your bike up to match your own current abilities, and later on, as your body grows stronger, adjust it as the pros do. However, don’t be fooled by this one! Sometimes you just might hit the right model for yourself but the clean fit isn’t right. In other words, clean fit on your shoes might sometimes be set too forward and that way cause a knee to be an uncomfortable position. On the other hand, set to backward and you won’t be able to transfer your optimal muscle power to the bike. Now, when testing a bike, keep in mind that your normal position on a bike should be 90 degrees from arms to chest and 45 degrees between hips and legs. Anyhow, this might not be that crucial for mountain biking since the positions are more relaxed and upright. Therefore, don’t get fooled when somebody tells you that your body position isn’t correct as it should mathematically be. Most of the bikes, especially those high-quality models, have various seat adjustments. However, when testing your new potential bike, make sure that you check the seat. Simply speaking, when you hit the bottom of the pedal stroke, you should notice a slight bend of your leg, meaning that your leg should reach about 80-90 percent of a full leg extension. That is the perfect seat height for you. If can’t do that, you might consider some other model with better seat adjustment. The last but not least important are the tires. When it comes to mountain biking, tires are of high importance. The most common number that you will see is 27.5x2.0. This means that outer tire diameter is 27.5” while the width of the tire is around 2". Of course, it all depends on the terrain. There are some pro tips on how to choose your bike tire to perfectly fit your mountain bike size and your own preferences. First of all, you want to look for a tire with greater traction. This will boost your confidence, which will result in more fun and faster riding progression. On the other hand, if you crave for better speed, sacrifice a little grip in order to gain rolling efficiency. Secondly, getting the lighter tires might boost you more psychological rather than physical. Namely, considering the overall weight of a bike, tires take some small percentage. With that said, grams add up some weight to the bike, and result in more energy needed to move them. However, there are several types of mountain bike tires. 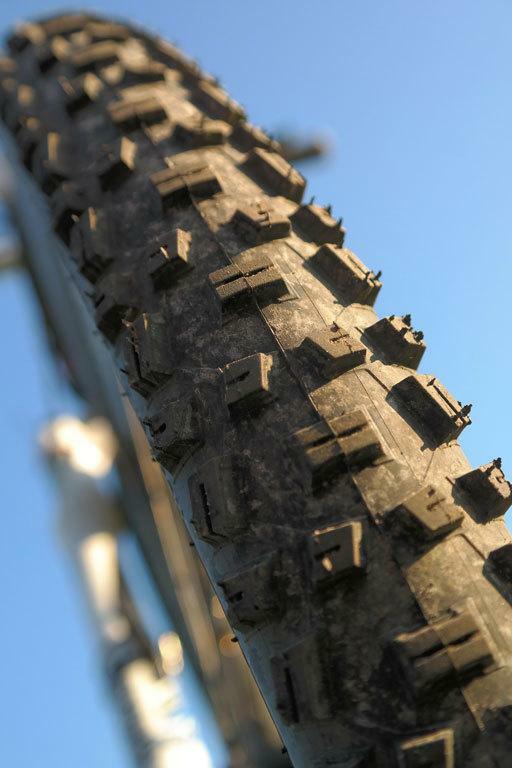 There are a cross-country bike tires, trail and all-mountain bike tires, downhill bike tires, and so-called fat bikes. These 4 have different dimensions. A cross-country tire- These one have the tire width going from 1.9” to 2.25”. They are the lightest among all mountain bike tires out there. Trail and all-mountain bike tire- When it comes to these ones, they are most common as from 2.25” to 2.4” width range. Downhill bike tire- Now, with these ones, you will be able to withstand the abuse of a bumpy terrain, as they go up to 2.5”. They are meant for more secure ride throughout dangerous mountain downhill. Fat bike tire- So called fat bike has the tires that can be used for trail riding through all seasons. This tire goes from 3.7” to 5” or even more. Therefore, (for example) if you are more into the downhill type of bikes, those that are meant to withstand the abuse of drops and rocks, than you might search for some tires ranging up to 2.5” wide. Depending on your riding style, you should look for different type of lugs on your tire. Therefore, you will notice that there are big and widely spaced lugs, small and closely spaced ones. Besides these two, there are ramped lugs, side lugs, transition lugs, and so-called sipes. However, big spaced lugs are more for a muddy ground since their wide channels release the muck easily. Small and closely spaced lugs will provide modest grip as well as a smaller rolling resistance which result in greater speed. Ramped lugs will also lower the rolling resistance and help you go faster. Furthermore, with side lugs you will be provided by extra grip in corners. Now, transition lugs will increase the grip as soon as you lean into a turn. This will provide a smoother transition from center lugs to side ones. Anyhow, this is all of high importance when searching for a perfect mountain bike size, because you would want to combine that size with tire design as well. If you don't have enough time to learn or check every details separate, you can use mountain bike size calculator. This calculator will give details information of your perfect sized MTB by taking some specific data from you. 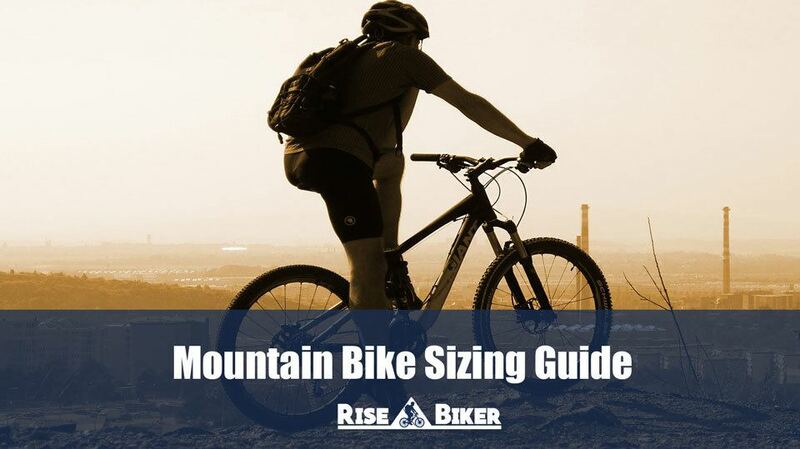 Rider type (male/female), Rider's Height (typically in inches) and Rider's leg length are those specific details required for processing the proper information about sizing your perfect mountain bike. Normally, you will get frame sizing with crank size. Here is one of most popular mountain bike size calculator. So, what do you think? Did this make a bit easier for you to choose a perfect mountain bike size that suits you? Anyway, as a passionate mountain biker myself, I was struggling with the perfect size as well. Now, after so many years and a ton of experience, I hope this mountain bike sizing guide will help others as well. Therefore, leave a comment bellow and tell us what do you think about this short review. Of course, if you liked it and if it came to use, be sure to share it so others with similar problems as yours, figure out what to do when choosing a mountain bike size that perfectly fits.